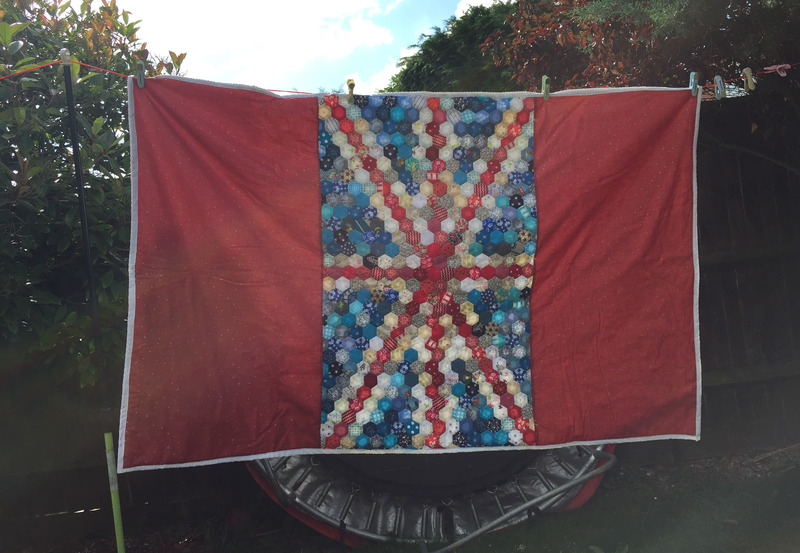 My goal for the first half of this year was to complete the Union flag quilt. A couple of days late but I’m pleased to say this weekend I went to Quilt Camp, otherwise known as my mum’s house, and finished it. 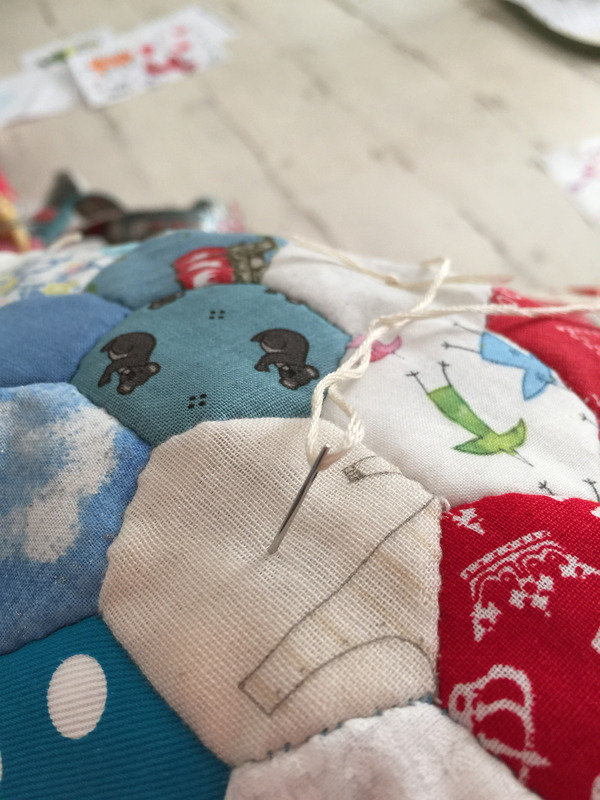 I fell in love with the pattern as soon as I saw it in Hexa-Go-Go: English Paper Piecing 16 Quilt Projects by Tacha Bruecher. I really enjoyed collecting the red, white and blue fabrics for it and picked it up every couple of weeks. My progress was slow but last month I finished piecing the top. I think I took even longer trying to choose the fabrics to complete it though and spent a few evenings trying to decide what to buy. It all arrived this week in a lovely parcel of fabric goodness – Fairy Dust from Lewis & Irene’s Make A Christmas Wish fabric collection and Muslin Mates Chevron which is from the Moda Fabrics Basics range, both from Eclectic Maker. My version differs slightly from the pattern in the book. I added panels either side of the pieced top as I wanted to make it large enough to cover my daughter’s bed. She’s currently in a toddler bed but I know she will progress to a single bed at some point. 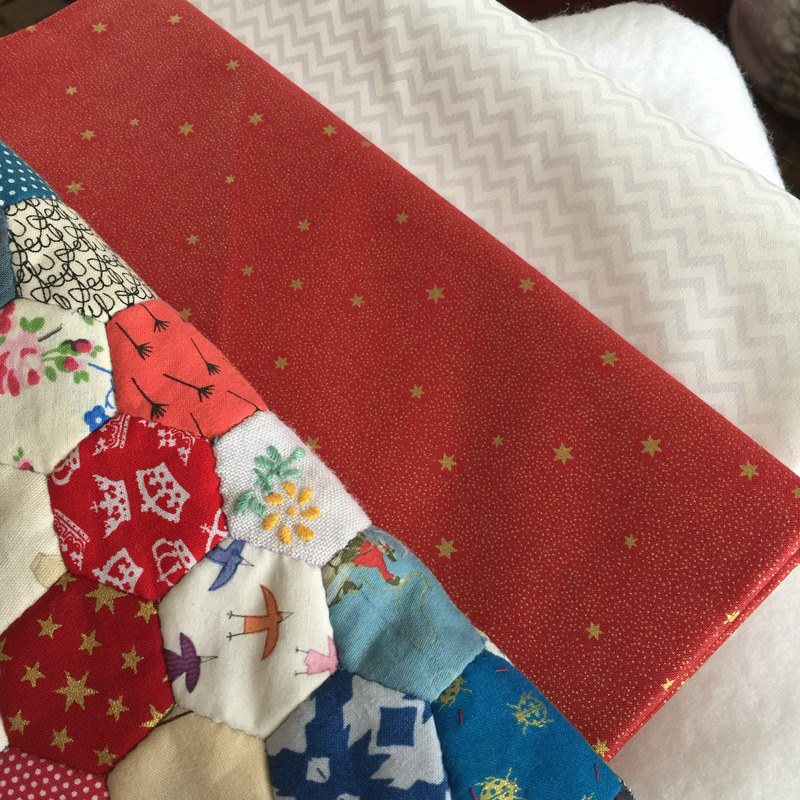 Over the weekend I managed to find space to trim the quilt top, back it and bind it. I hand-tied the top in alternate white hexagons. Yay! I think this is the third full-size quilt I have ever finished and I love the mixture of colours. 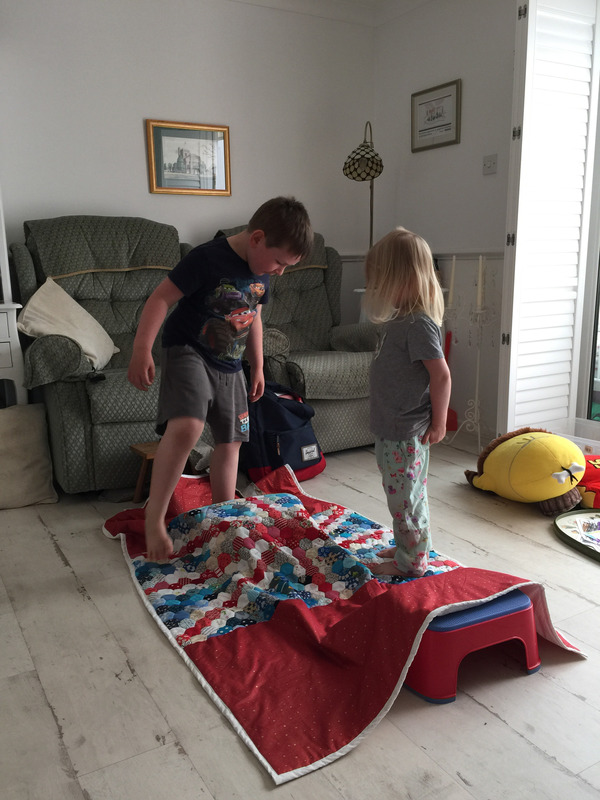 Fortunately Little Sis loves it too, even though she had a funny way of showing it…. Gorgeous, well done for finishing it. Thanks, I enjoyed making it.